The Class of 2009 chose their project after much deliberation at the September 2008 retreat at Camp Lodestar. In the end the class chose to help the Child Abuse Prevention Council (CAPC) build a Resource Room. 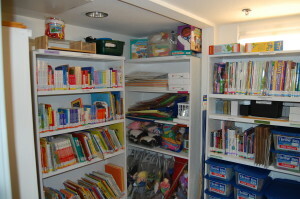 The CAPC had been given a very generous gift of books and materials for their classrooms, but had no way of effectively storing them and efficiently managing the materials. The project started with Paul Willette, the building committee chair, meeting several times with Yceychie Fields, Program Manager at CAPC. Together they came up with a blueprint for the shelving system for their new Resource Room. The building committee spent four weekends and over 50 hours constructing the shelving system for the new Resource Room. There were several class members who learned some new skills with power tools, and Paul and Allan became very adept at fixing mistakes so no one knew they ever happened! CAPC had been awarded grant funding for their new space the class thought it best that the monies used for their materials be unrestricted. 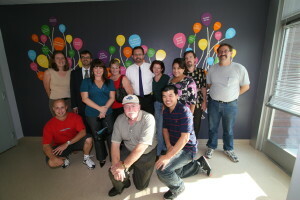 With the help of Canepa’s Car Wash, a fundraiser was held. Donations were also made to the project from numerous sources and $1700 was raised. With the shelving and financial resources taken care of, the organizational phase of our project began. Chaired by Erin Rausch, over 56 hours have been donated to the cataloging component of this project. 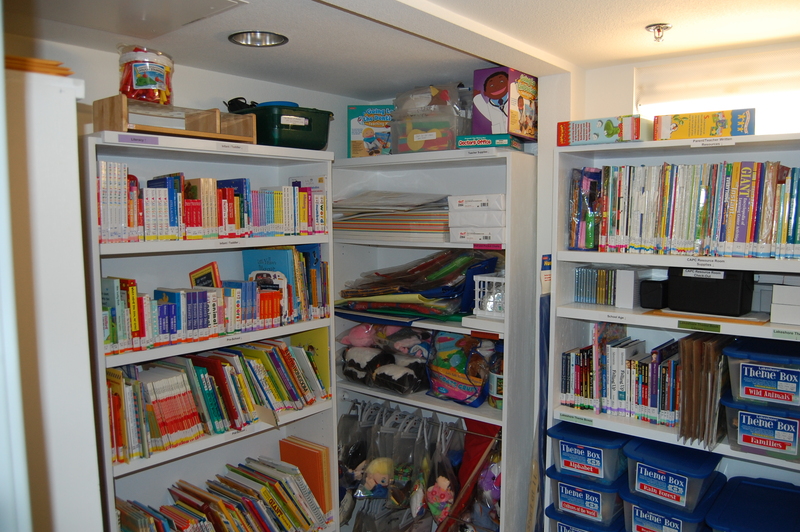 The Resource Room contains over 350 children’s books, 90 parent/teacher references, and 222 groups of learning materials and objects. Each group of materials has been classified and organized according to age group and theme. A check-out system has been established so that the materials may be tracked while they are used by the many constituents of the Child Abuse Prevention Council. Needless to say, no attention to detail was spared. The Class is thrilled that their efforts will have such a positive impact on the Child Abuse Prevention Council and that their project is one that will benefit the children and teachers for years and years to come. The Class didn’t stop there though. Throughout the year they have volunteered their time at 2 of the AgVenture events, a program to educate the 3rd graders in San Joaquin County about the benefits of agriculture in our community. They also volunteered their time at 2 of the Y.E.S.S. events, a program geared towards assisting the foster youth of our community to help them become productive, active members of society. They participated in events for the Women’s Center, the Homeless Shelter, the American Red Cross, and filled an entire moving truck FULL of donated clothing to St Mary’s Interfaith Community Services, as well as volunteering at the paddleboats at the Asparagus Festival, benefiting the Leadership Stockton Alumni Association.